I have a super exciting craft to share today! Why is it so exciting? Because not only is this the first time since eighth grade that I’ve used a pattern, but also because this is the first article of clothing I’ve ever made that has sleeves! Sleeves!! I conquered sleeves!!! Ahem. Okay. Here we go! A few years back, Miss Caity got me this pattern for my birthday. I immediately went out and bought stretchy white fabric for it and was all excited. 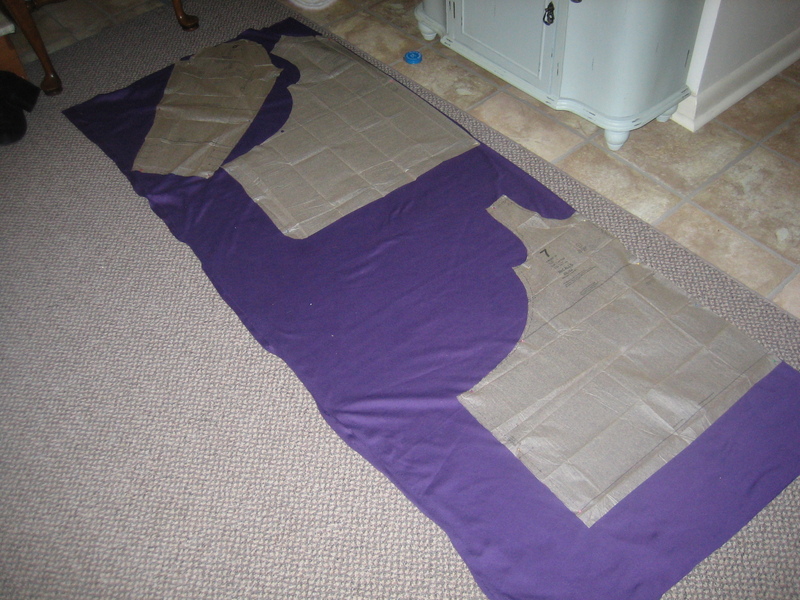 Then I put the pattern in my sewing bag and proceeded to use the white fabric for a variety of other projects. 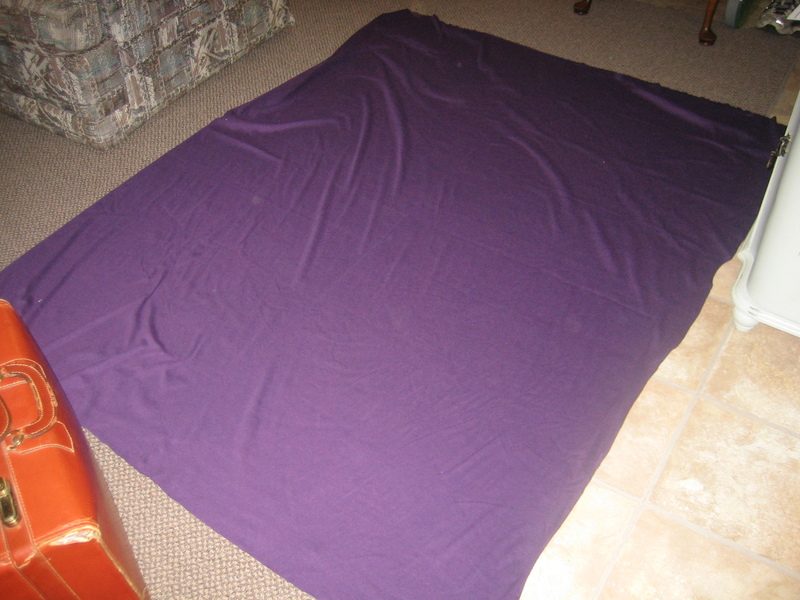 (The underlayer for my butterfly skirt, for instance.) I really did like the pattern though, so recently I went out and bought more fabric to use. This time I opted for a deep plum. Shortly before the kitties started trying to claw this to pieces. The pattern packet actually comes with a variety of designs with similar looks so I ended up combining two versions and making it longer than the pattern dictated. 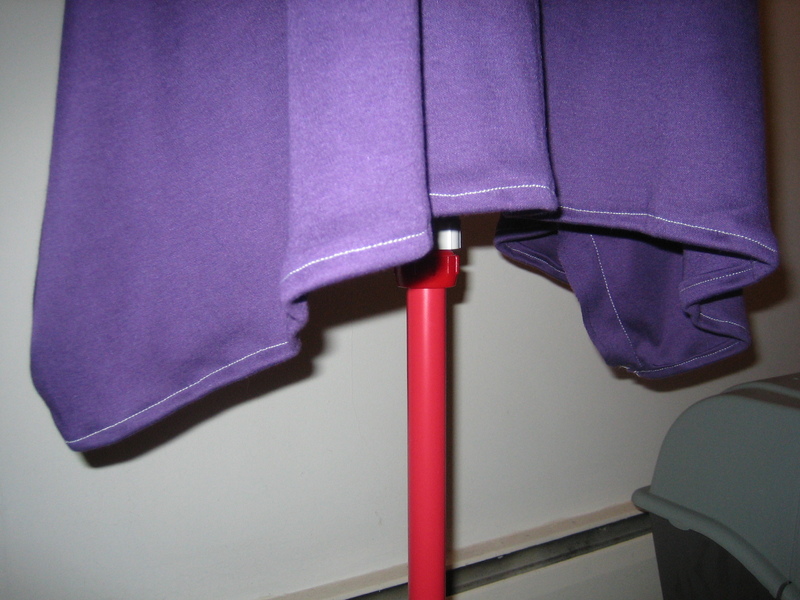 I cut out the appropriate pieces and pinned them to the folded-in-half fabric. The front and back pieces were pinned at the fold of the fabric so that they would end up being twice as large as the pattern itself. The sleeve got pinned not-at-a-fold so that I would just have two of them. I like this color so much. 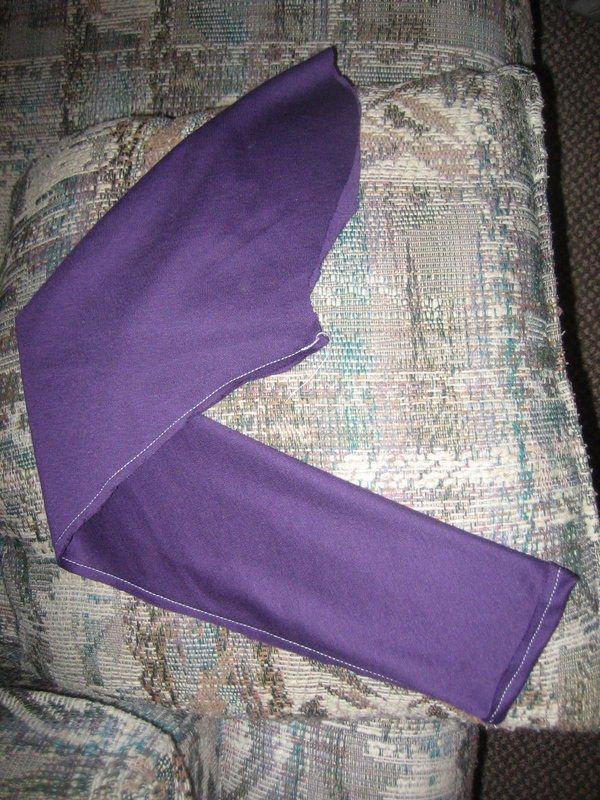 I pinned the front and back part together and sewed them up the sides, making sure to leave the arm holes open. 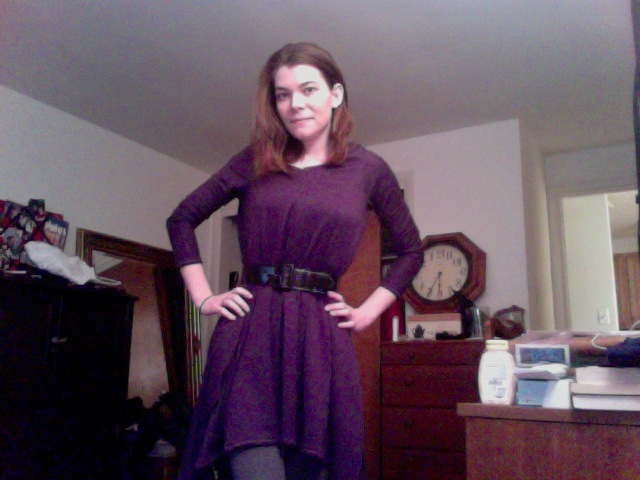 Bonus: I can wear this as a maternity dress someday. Then I hemmed the bottom. 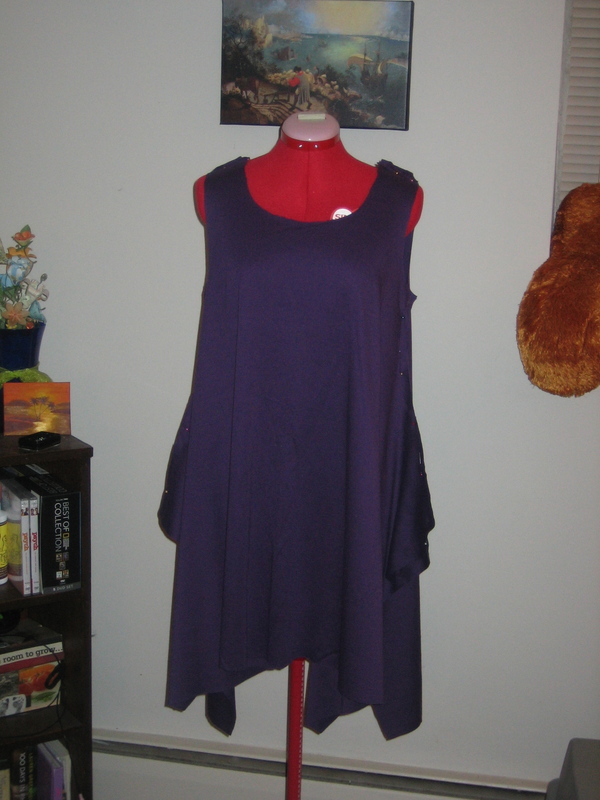 (I did the same thing to the neckline, but forgot to take pictures. It wasn’t very exciting.) 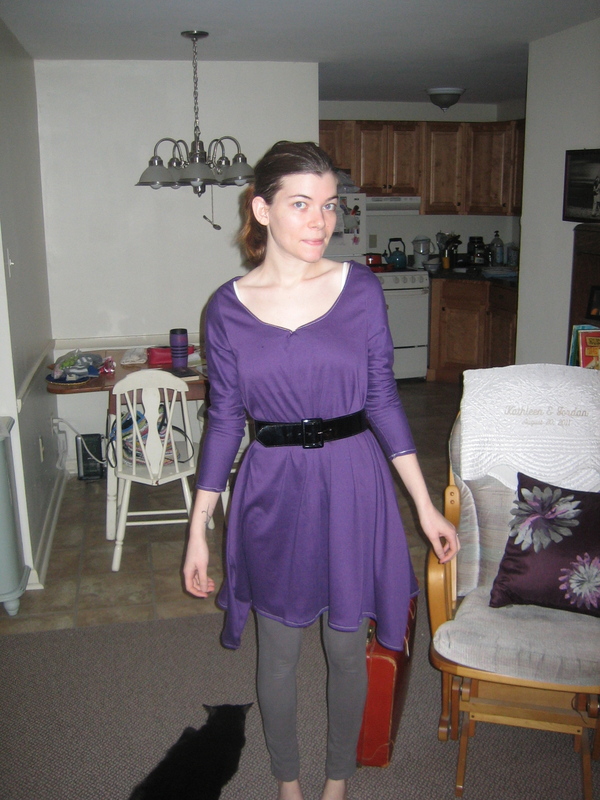 Next, I pinned and sewed the sleeves together and hemmed the cuffs. Had to make sure there was enough room for my huge biceps. 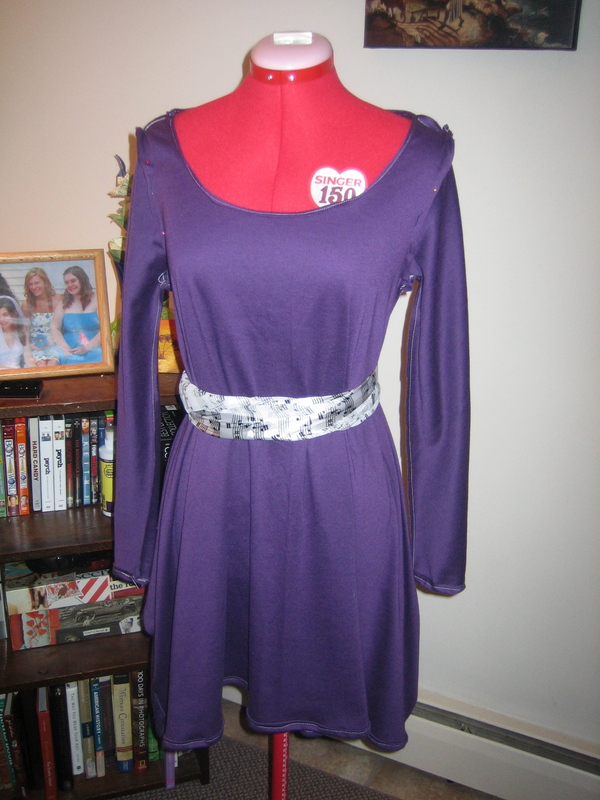 Then I pinned the sleeves to the dress. I had to belt it during the step because the folds of fabric kept getting in my way. It’s a very full dress! Fantasia was a great sport, even when I accidentally stabbed her with a pin. Finally, I sewed the sleeves on and tried it on!!! I had to make it a v-neck with pins to keep it on my shoulders. 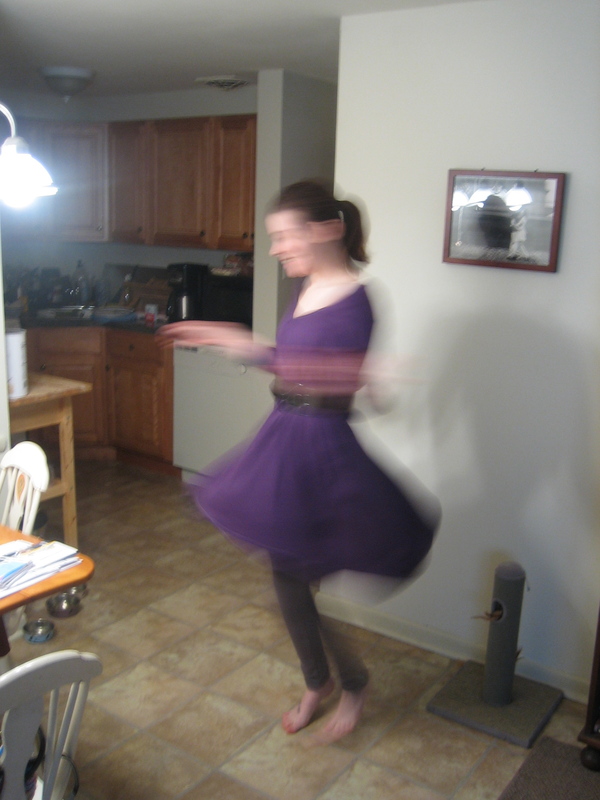 And here I am spinning. Just because. Craft 9 of 52: Complete!